Philippines’ AirAsia, the low cost carrier with the youngest fleet, has just announced significant changes in its customer call center. 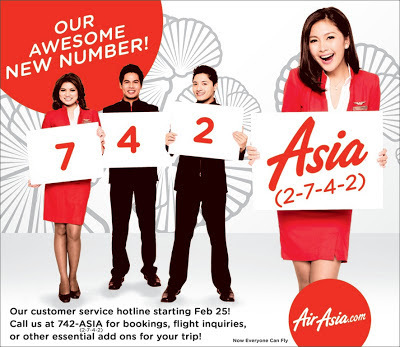 Starting February 25, 2013, Philippines’ AirAsia’s new customer hotline number will be 742ASIA or 742.27.42.
stores for our passengers who want to avail of our online promo and other privileges but would like to pay in cash instead of using their credit cards,” AirAsia Inc.
Commercial head Freddy Herrera said. payment partners option because of its simplicity and convenience,” Herrera added. Clark International Airport to Taipei, Singapore, Hong Kong and Kuala Lumpur including domestic flights to Davao and Kalibo (Boracay). coming weeks so that more and more people will benefit from AirAsia’s awesome low fares and extensive route network covering 80 destinations in 20 countries,” Herrera said. More than 800 7-Eleven stores nationwide will start accepting cash payments for AirAsia on February 28. 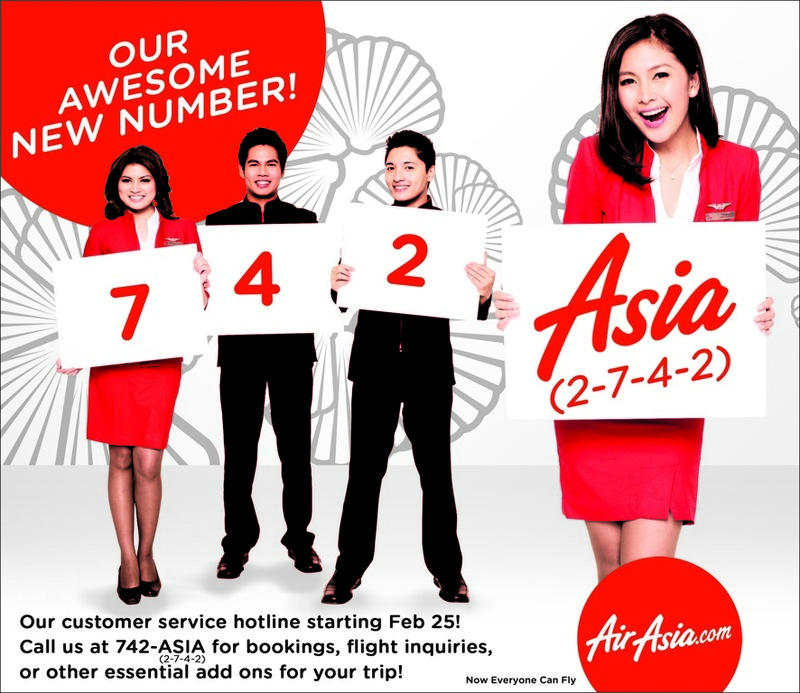 AirAsia’s new Philippine hotline number, +632.742.2742, will start on February 25. It will be open daily, from Monday to Sunday at 8:00AM – 9:00PM.